Located in Toledo, Spain, Nava specializes in high-quality silk embroidered shawls, also known as mantones de Manila. The company began in 1988 and is 3rd generation family run. Each shawl is hand embroidered on natural silk. The manton takes its name from the city of Manila, capital of the former Spanish colony of the Philippines, where many products were traded in route from the Orient and to Spain. 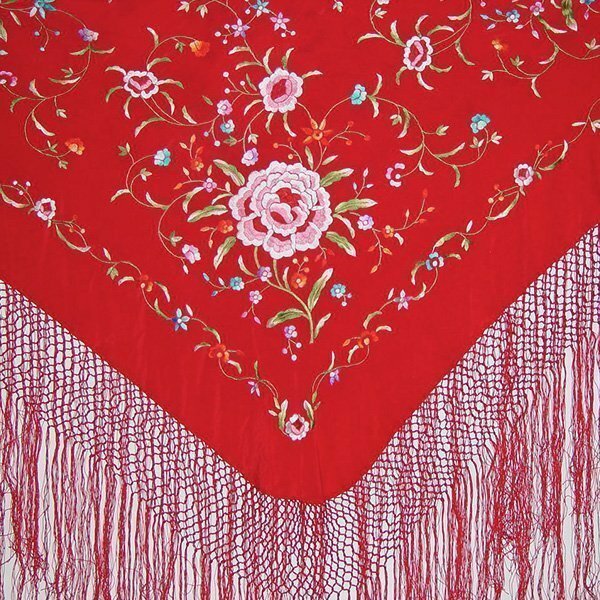 Though originating from China, the silk manton is a symbol of Spanish culture; a staple of flamenco singers and dancers and frequently worn as a fashion accessory at bullfights, parties and special events. The manton is a large silk square with a lot of embroidered themes often of flowers, birds, landscapes and people. 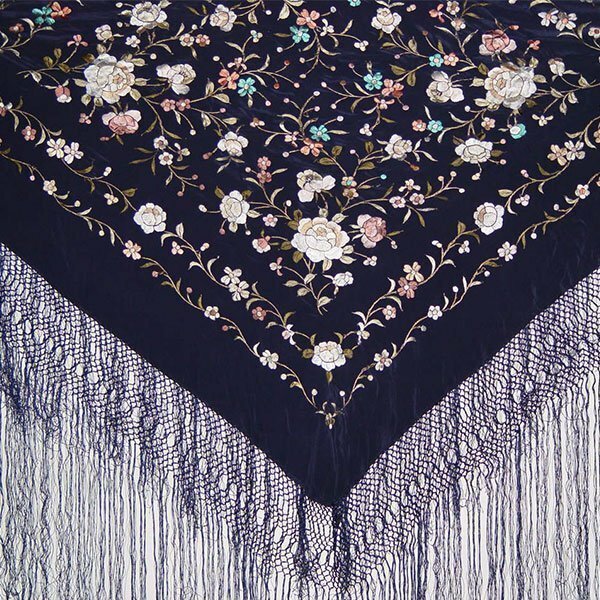 The shawl has long eye-catching fringe made from silk threads that can be trimmed if prefered shorter. Traditionally the shawl is folded in half into the shape of a triangle and worn over the shoulders. It looks fabulous paired with a dress or equally with jeans. The Nava artisans offer some of the finest silk mantones on the market and From Spain is happy to offer them direct from Spain to you.